Stock is issued by a firm in what is called an initial public offering, or IPO. This IPO issues a percentage of the ownership of the company, which investors bid on and purchase. This sale of ownership contributes capital to the firm. Once an investor purchases a stock, he or she has certain responsibilities. A stock purchase makes an investor able to vote for board of directors and ensures that if dividends are paid to stock owners, that they will get their share. 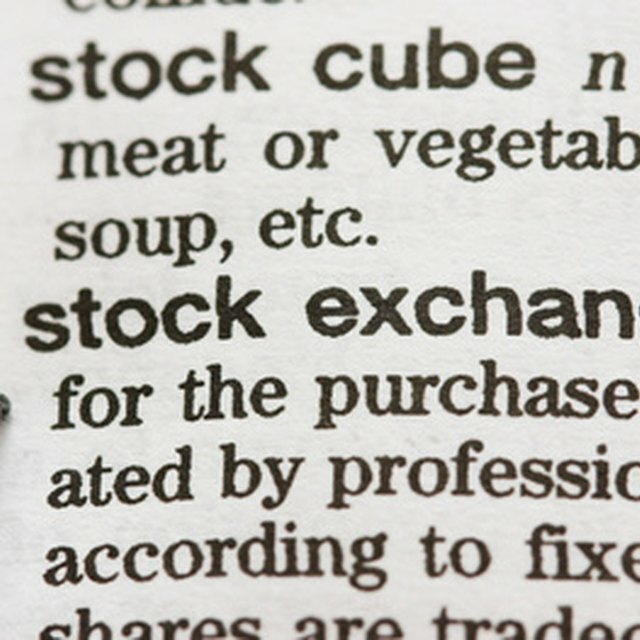 Possibly more importantly, the stock enables the investor to sell the stock on stock exchanges. As investors buy and sell stocks on stock exchanges like the New York Stock Exchange (NYSE) and NASDAQ, the price of the stock changes. The pricing of a stock traded on an exchange depends on many things, but because investors have many stock choices, it depends mostly on how valuable the stock is to investors. Companies can create value for their investors by paying out dividends, by growing, increasing revenues and profits and by generally being a good company. Even though stocks exist primarily so that companies can fund themselves and their expansion, remember that only during the IPO or a subsequent stock offering does a firm actually receive money for its own stock. As stocks are traded on the stock exchanges, stock prices will go up if the company is found to be profitable (as more investors want a slice of the pie, and bid the price of the stock up). This is still good for a firm, though, for a few reasons. First, if the company wants to sell more stock, it already knows how much its own stock is worth, so it can get more money for it. Second, a high stock price means the owners of the company can go into the market and sell their shares, converting their ownership into cash. Stocks exist for companies to make money, but it is clearly true that stock markets also make investors money. However, as with any investment, there is an inverse relationship between return and risk. Stock investments are one of the riskiest investments and, accordingly, have one of the highest returns on readily available investments. The stock market has been a creator of wealth, but use caution--the stock market has also taken from those who invest poorly. EcEdWeb.unomaha.edu: What is a Stock?